Your guide to buying and selling used boats since 1983. For over 20 years BoatsFSBO has been serving the new and used boat markets with its "For Sale By Owner", commission free sales strategy. In order to successfully carry out this mission, it became necessary BoatsFSBO would have to build a large network of boat sellers and boat buyers. In the eighties and early nineties, the Internet was non-existent. BoatsFSBO carried out its mission largely by attending boat shows with reams and reams of paper with boat listings. 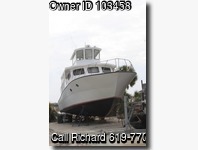 The success of this method is what allowed us to continue on with the business and continue to tailor it to people looking to sell a boat and buy a boat. And Then Came The Internet! The late nineties brought about the Internet and the benefits to us were clear. The boat broker lost their main advantage, their exclusive network of buyers and sellers. Now the internet offered an easy to browse marketplace, where no commission based middle man was required. This made the "Boats For Sale By Owner" that much more of viable strategy for everyone. By establishing a web presence we can offer boat buyers and sellers an efficient channel to post and view boats for sale. As bandwidth and technology becomes more readily available, we are able to offer more and more features. Currently we allow boat sellers to post large, detailed images and list an infinite amount of textual detail about their boat. If you are looking to buy a boat, sell a boat, or just get an idea of what your boat is worth, our 20 plus years of tried and true experience is here to help. Please do not hesitate to contact us if you are looking to sell a boat, or if you're looking to buy a boat, visit the website often. 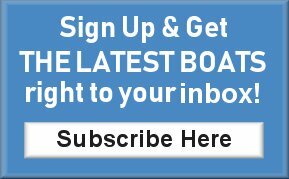 Be sure to sign on to our mailing list as we are always expanding our website with boat and marine related features, technology, services, and products. Thank you for visiting BoatsFSBO!